At Creedmoor, we don’t have customers…we have friends! Our customers are a very tight knit community of shooters who all share the same passion – “A passion for precision rifle shooting”. 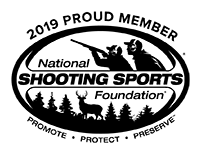 Below, we have outlined “The Creedmoor Way” which shares with you the principles we follow in operating Creedmoor Sports. The Creedmoor Way is the way we think, the way we live and it continues to evolve as we learn, grow, and listen to our friends - our customers. We sincerely appreciate you for giving us the opportunity to be part of your hobby and your passion. We enjoy producing the best products we can - and still make them affordable. No, we aren’t going to make a loading block out of titanium!